Providence, R.I. – Jake Beaton ’18 had his eyes set on a senior year at Providence College where he would balance his love for hockey with his course load one more time. The East Falmouth, Mass., native also was set to compete in national and international research challenges organized by the Chartered Financial Analyst Institute, where membership is extended to seniors and graduate students. A finance major, Beaton was first approached about joining PC’s CFA Research Challenge team prior to spending the spring semester of his junior year studying abroad in Italy. Upon returning stateside, he spent the summer of 2017 interning at New York-based EY (Ernst & Young), the Big Four accounting firm. Working primarily in advising and consulting, Beaton secured a post-graduate position with EY by impressing supervisors and colleagues with his work and knowledge, along with his strong academic profile. On the surface, it appeared everything was set for Beaton. Then came a hockey opportunity that represented a once-in-a-lifetime chance. 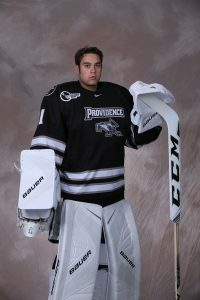 After three years of playing goalie for PC’s club team, Beaton eagerly accepted a late roster spot invitation to join PC’s Hockey East program as the No. 3 goalie for the 2017-18 season. Joining the varsity hockey ranks as a walk-on meant Beaton would have to relinquish his CFA Challenge spot. Given the magnitude of the offer from hockey Coach Nate Leaman, there were no hard feelings on the part of Matthew M. Callahan, practitioner faculty in finance and the CFA Research Challenge adviser. Having worked on Wall Street, Callahan told Beaton that his hockey version of a Cinderella story would not only serve him well during his senior year, but throughout all his post-PC endeavors. Beaton heard of PC’s sudden need for a No. 3 goalie through his good friend, Friar defenseman Truman Reed ’18 (Anchorage, Alaska). A call was placed to Leaman, who arranged for a tryout that included several goalie hopefuls, one of whom was Beaton’s teammate on the club team. One Friday morning last September, Beaton sat in Leaman’s Schneider Arena office. The coach spelled out the rigorous demands of what being a member of a Division I team meant. There would be practices Monday through Thursday, weekend games, the possibility of travel, and more, on top of carrying a full academic workload. Beaton expressed a strong desire to join the team on the spot. Leaman told Beaton to take the weekend to think about it. After talking thi ngs over with his parents, Robert and Vicki, he felt he was truly ready to expand his hockey horizons. Beaton suddenly became a part of a world that had little in common with club-level hockey, where practices are held twice per week and usually late at night. Competition-wise, the Friars’ club team generally played two games on the weekend against fellow Hockey East members and schools that do not offer varsity hockey. As the backup to the backup, Beaton understood all of the particulars of his role. Playing time figured to be rare — thus the importance of displaying maximum effort during practice. “That was my way of being a good teammate and supporting the rest of the guys,” he said. Initially, no decision was made to allow Beaton to travel to road games with the Friars. However, it did not take Leaman long to realize that his No. 3 goalie merited greater consideration. When PC played two games in Belfast, Northern Ireland, over Thanksgiving, Beaton was there. When the Friars went to Pittsburgh for a post-Christmas tournament, Beaton went. “It was awesome to see that side of the commitment,” Beaton said. It was during the Friars’ two-game stay in Pittsburgh when Beaton officially etched his name into the program’s all-time player register. On Dec. 29, the Friars were up, 5-0, in the third period against Arizona State University when Leaman tapped Beaton on the shoulder and told him to get loose. A few minutes later, Beaton was told to get out on the ice for his Division I debut. Beaton played the final 1 minute, 57 seconds of an eventual 6-0 Friar win. He did not face a shot, but that did not matter. What did was seeing the expression on his teammates’ faces as they skated over to congratulate him after the final horn. “It meant a lot to see the joy and excitement my teammates had for me. It also gave me a lot of motivation to keep doing what I was doing,” Beaton said. As Beaton will attest, there are many ways to make one’s college experience memorable. Besides hockey and studying abroad, he also found time to become involved with the Finance Society and the Accounting Association. 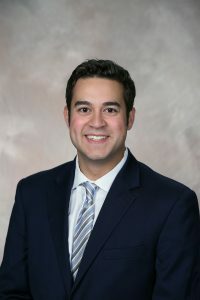 Since his first year, he hosted a weekly program on PC radio station WDOM-FM. He will graduate with honors on Sunday, May 20, and as a member of Beta Gamma Sigma, a distinction reserved for the top students in the College’s School of Business. “My number one priority is academics. That’s why I came to Providence, but playing varsity hockey during my senior year is something that will define my college experience,” Beaton said.